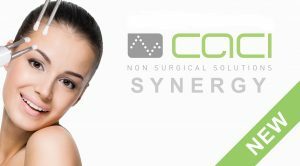 At our Nottingham Beauty Salon and our Mapperley Beauty Salon we specialise in beauty treatments for the face using the latest CACI Synergy Non Surgical Face Lift Machines. 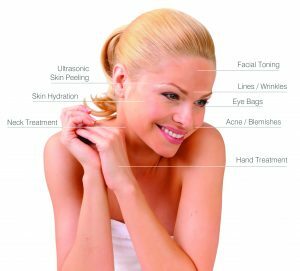 We provide electronic Face Lifts, Jowl Lifts and Bum Lifts. 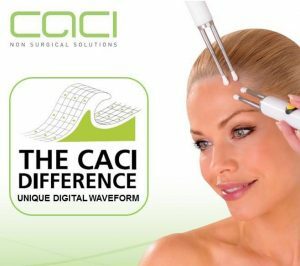 We are absolutely blown away with the response and results of our fabulous CACI Non-Surgical Face lift at our Mapperley Beauty Salon so due to the very high demand we now have a CACI Machine at our Nottingham City Centre Beauty Salon as well. Call us on 0115 9609080 to take advantage of this fabulous offer. Only available until 31st March but treatments can be taken at any time and at either salon. Offer available at our Mapperley and City Centre Salon. Please call us on 0115 9609080 to take advantage of this super offer. Pre payment is required on booking to secure your special deal. We’re really busy and slots go so very fast so please call us as soon as possible to avoid disappointment. Thank you again for choosing us to look after you, we love having you as our client. Who fancies a perkier derriere with less cellulite?! Purchase a course of 10 bum lift treatments and you will receive 2 FREE of charge! Concentrating on the back of the thighs and bum. Including the front of the thighs as well. The Electro Cellulite Massager treatment gives instant lifting and contouring on the buttocks and toning of the thighs. This treatment will improve the appearance of cellulite and break down fatty deposits. 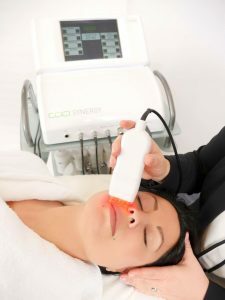 It will also stimulate circulation and lymphatic drainage, which will help to flush toxins away giving a smoother and tighter, dimple free appearance. Great as a pre-holiday body blitz or for a special occasion. Please call us on 0115 960 9080 for more details. 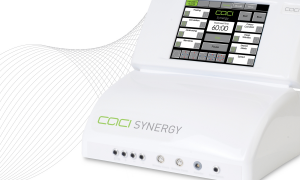 We have the very latest Synergy CACI machine, which we love and are getting such amazing results with! 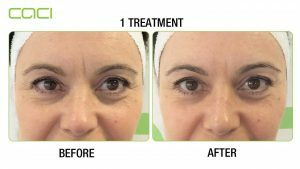 Please call us on 0800 304 7273 to take advantage of these fantastic offers and start your fabulous anti-ageing journey with visual results. You can book your appointments for Nottingham City Centre Salon or our Mapperley Salon. Therefore, you can have your treatments at either one or both. If say you live in Mapperley and work in Nottingham, for example. Come and experience it for yourself. We look forward to pampering you. Please telephone us on 0800 304 7273 for our SPECIAL offers.